WordPress tutorials. 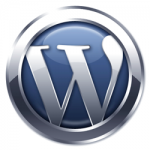 – How to use WordPress. So you want WordPress web hosting for your wordpress website but need some help getting started! Well, take a look at our wordpress tutorials for your WordPress web hosting and you should be able to get started all by yourself and have a good understanding of using wordpress. WESH UK Provide premium UK WordPress web hosting, so why not host your wordpress website with us today..